Nine states do not levy an income tax but other taxes and fees can be higher to compensate. It’s important to understand the positives and negatives of a new tax home before moving. Economists argue, but the jury is out on whether lower taxes means higher growth. “The only things that are certain in life are death and taxes,” as the saying goes. Unless you live in one of the nine states with no income tax. Yes, death is still certain. Taxes, that depends. 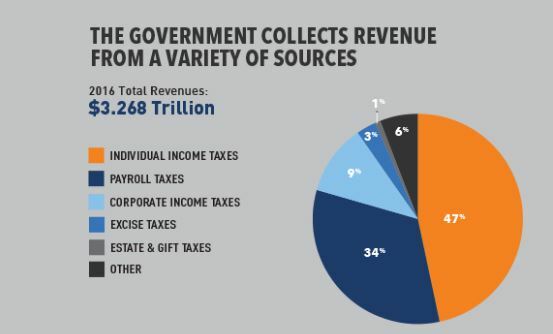 While it would be great to never pay taxes, almost no one gets away without paying any taxes at all. After all, Americans overall paid more than $3.2 trillion dollars in taxes in 2016 alone. And while 40% of all Americans earn so little they pay no income tax, they don’t exactly get off scot-free. Americans who don’t pay federal income tax usually pay many other taxes, including property taxes, Social Security and Medicare taxes (called the payroll tax), user fees such as paying to enter state parks, and investment-related taxes, to name just a few. In fact, according to the Peter G. Peterson Foundation, more than 80% of Americans pay more in payroll taxes than they do in income taxes. The wealthy elite, or the so-called, “1 percent,” of American taxpayers, pay about 31% in taxes relative to their income. Americans in the middle-class pay anywhere from 13% to 17% in taxes relative to their income. Low-income Americans and those living just above the poverty line pay a little under 4% in taxes. 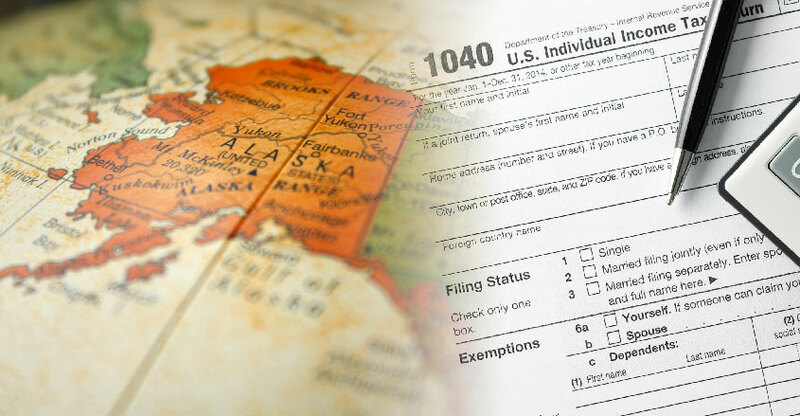 Nevertheless, depending on the tax-code policies and laws of several individual states, Americans with the lowest incomes can sometimes pay more in taxes overall. And then there’s state taxes. There are nine states with no income tax — zero, zilch, nada. But should you move to a state with no income tax? How much you might benefit from not paying income taxes depends entirely on how much money you make or have saved and invested. Depending on the state you choose to move to, the drawbacks might outweigh the benefits of living in an income tax-free state entirely. Hundreds of thousands of Americans annually flee high-tax states for lower-tax or income tax-free states every year. Research conducted by the American Institute for Economic Research showed that New York, California and Illinois feature some of the highest overall tax burdens in the country. Residents in New York pay about a 12% income tax, while state taxes are more than 10% for California and Illinois. According to the data, more than 191,000 New Yorkers fled to low-tax or no income tax states in 2015. Meanwhile, more than 129,000 Californians and more than 128,000 Illinois residents moved in the same time period for the same reasons. Those figures may get worse in the future as billions in pensions come due, particularly in states such as Illinois and New York. Arthur Laffer and Stephen Moore, conservative economists who have counseled President Trump, project that more than 800,000 residents from New York and California will move within the next three years to low-tax or tax-free states. Laffer and Moore believe that recently enacted tax cut limiting federal deductions for state and local taxes paid will encourage those residents to move. New York and California have the highest concentration of rich Americans benefiting from these so-called SALT (state and local tax) breaks. These states also feature high property valuations, resulting in higher local tax bills. Housing costs and ending the deductibility of SALT breaks may motivate middle class and working-class Americans to move. Laffer and Moore believe that more than 3.5 million Americans have moved to more tax-friendly or no income tax states in recent years. However, how much you benefit by actually moving to one of these states depends on how much money you have, how much you have saved and how well you adjust moving to new locales. It is important to have significant amounts of money saved in case of emergencies and moving is expensive no matter how you slice it. Alaska: The Land of the Midnight Sun has no income or state sales tax requirements for its residents. However, produce and goods tend to be more expensive since the state is remote and far removed geographically from the lower 48. 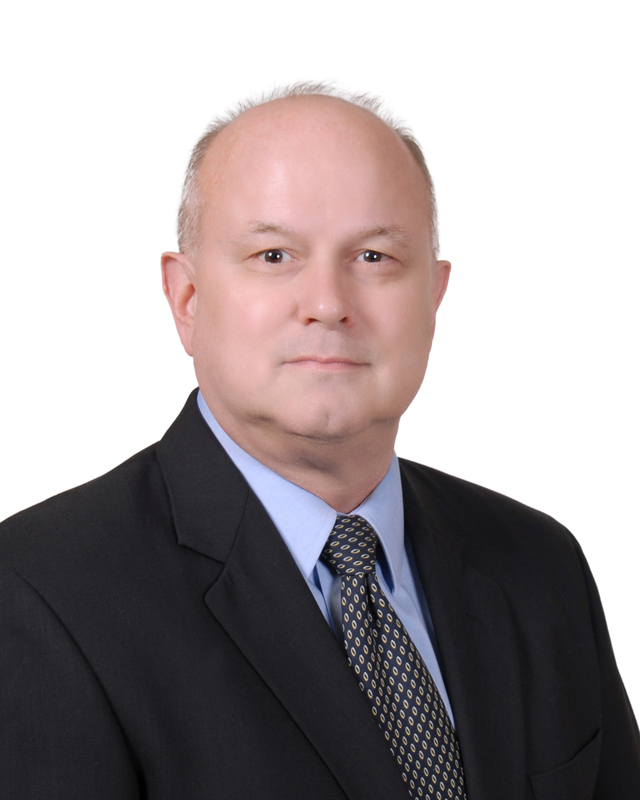 Resident do pay local and municipal based sales taxes that can be as high as 7%. Property taxes are collected via $1 per every $1,000 of applicable property value worth. The caliber of healthcare that you will have access to depends on how far away you live from a larger Alaskan city. Alaska’s cold weather is extremely harsh most of the year. It may be hard to adapt for many tax migrants, even the hardiest New Englanders. Florida: The Sunshine State is very popular with retired tax migrants due to nearly year-round sunny weather. The state’s sales tax is about 6%. Florida residents who reside in the state long term may also be eligible to take advantage of homestead exemptions that can result in savings up to $50,000. The property tax is just over 1%. Still, Florida and other Gulf Coast states are hit by numerous hurricanes and other extreme weather events every year. Insurance is expensive or unobtainable, depending on where you buy. Naturally, waterfront is also just plain costly due to demand. Nevada: Along with having no income tax, the Silver State has a state sales tax hovering just under the 7% mark. Some counties institute their own sale taxes, which when combined with the state sales tax, can push that figure to a little over 8%. The property tax rate can be anywhere from 2% to 3%. On the down side, depending on where you live, you may be distant from advanced medical care. New Hampshire: While the Granite State does not levy an income tax on its residents, it does tax them in other ways. New Hampshire has a 5% tax on dividends and accumulated interest from investments, for instance, and the property tax in the state is a little more than 2%. Property values in New Hampshire tend to be high as well, increasing the cost of a high property tax rate. South Dakota: The Mount Rushmore State is considered the state with one of the highest standards of living in the country. There is no state income tax and state sales tax is around 4% to 6%, depending on additional local sales taxes. The property tax rate is a little over 1%. It’s almost a certainty that you would be living in a remote locale, though, so you should be self-sufficient in cold winters and prepared to travel for some goods and services. Texas: The Lone Star State does not have an income tax but it does have a state sales tax of about 7%. Additional city and county sales taxes can push that amount to over 8%. Applicable property taxes can be just below 2%. The state does have generous homestead tax exemption for longtime residents. Texas, however, is huge, hot and flat. Driving distance between cities is days, not hours. People love it or hate it, so know who you are. Washington: There is no income tax in the Evergreen State, however, sales taxes can get rather high. The Washington state sales tax is about 6.5%. Local and municipal taxes can be just under or over 4%. All in all, you can end up paying over 10% in state and local sales tax levies. Washington also has higher property values than other parts of the United States. The property tax rate is 1%, give or take, but that may amount to a lot, depending upon the value of your home. Wyoming: The Equality State has a state sales tax of around 4%. With additional local and municipal sales taxes that figure can rise to about 6%. Wyoming property taxes, however, are as low as 0.61%. The state features ample mineral and oil resources, income from which allows its residents to keep more of their income. Like many Western states, it’s important to keep in mind that if you move here you may end up living in a remote place. Tennessee (effective 2021): The Volunteer State’s income tax is extremely low and being phased out entirely. Currently, the Tennessee income tax rate is about 3%. It will be 2% in 2019 and then fall to 1% in 2020. Income taxes in Tennessee will be phased out completely by 2021. Almost all of these no income-tax states also fail to tax retirement income, it’s worth noting. 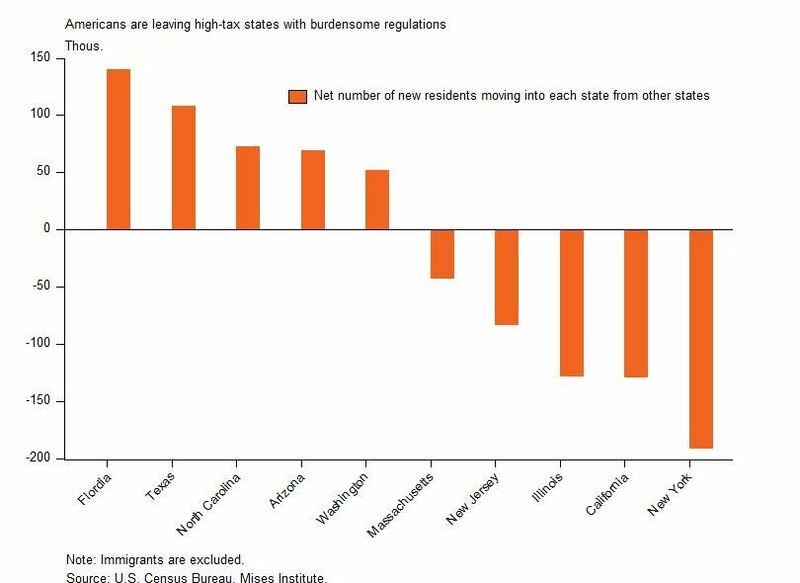 Some financial analysts believe that there are numerous benefits for tax migrants to leave high tax states for low- or no income-tax states. Experts believe that no income-tax states attract young talented workers and thus become reliable engines for social and business growth. Moreover, no income tax states are better at creating and maintaining new jobs compared to opposed to high-tax states, they contend. The group conducted a study over a decade that revealed that the nine states with no income tax fared better than the nine high-tax states in multiple ways. Mainly, the study states that the nine states with no income tax did better at growing their populations, creating jobs and increasing tax revenues, despite overall lower rates. The nine no income-tax states had residential population increases that happened 109% faster than the nine high-tax states. The study also found that jobs creation occurred 130% quicker in relation to counterpart states. Tax revenues in no income-tax states increased over 51% faster than did high-tax states. Still, the research-backed benefits that you may encounter in a no income-tax state vary from study to study. There are other experts who believe that the benefits of moving to a no income-tax state can be outweighed by other factors. In a competing study, the Institute on Taxation and Economic Policy found that U.S. states with the highest tax rates contributed higher population growth, job creation and greater taxable revenue. 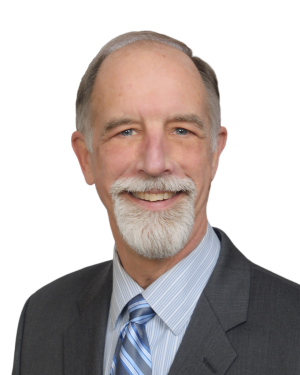 Carl Davis, a research director at the Institute, says that it takes money, including tax revenue, to further generate money. “While proponents of income tax cuts often point to the states without personal income taxes as a model to strive for, these states have actually been less successful in fostering economic growth than states with relatively high income taxes,” Davis argues. As mentioned earlier, the nine states without income tax compensate by taxing sales, property, investments and in other ways. 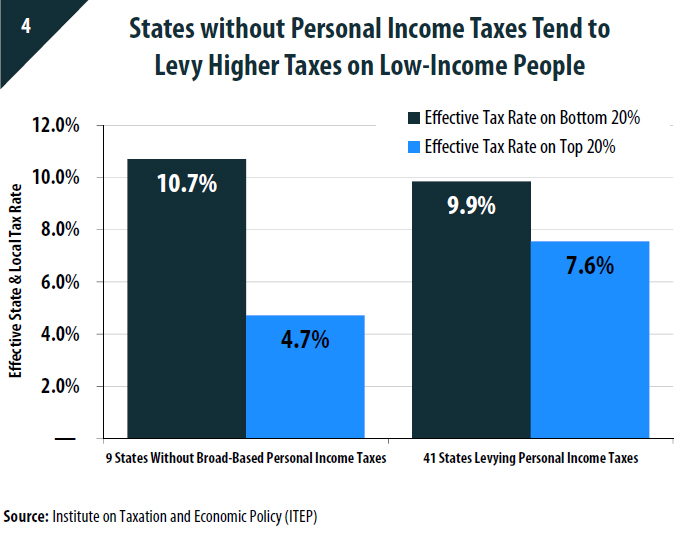 The studies revealed that the nine no-tax states levy higher ancillary taxes on low-income and poor Americans, by a rate of 10.7 as opposed to 9.9% compared to higher tax states. The research shows that 10 cents on each dollar is taxed in certain no tax states with higher other taxes. That can add up to a lot in the long run for working-class Americans. If you move to a no income tax state, it is important that you have good employment prospects. Or, better yet, have employment lined up before you move. Don’t just count on not paying income taxes to rationalize a cross-country relocation. Questions to ask: Are you starting a business? Are you joining a business? What do you have to offer to the state in question? You should have ample savings to guard against the unexpected and emergencies. Do some research about the climate, too, and the specific town or city you are moving to. The most important thing to remember that just because a state has no income tax that does not mean never having to pay taxes at all. Rather, the only thing that is certain in life is death, taxes and “fees” charged by supposed no-tax states. In the end, they too must balance their budgets and provide services that voters want. Hey Buddy!, I found this information for you: "Analysis: Quality of Life Can Vary in the Nine States With No Income Tax". Here is the website link: https://realdaily.com/analysis-quality-of-life-can-vary-in-the-nine-states-with-no-income-tax/. Thank you.